being a human glitter bomb of marketing strategy, creativity and impact. Brittany leads our marketing strategy, rallying the team with her energy and excitement for publicizing the good works of AJ. Her role is to be the #1 support system for our business development team, constantly striving to help them drive opportunity for the agency. Whether she’s managing our vibrant web content or crafting messaging for marketing material, she’s got it covered. Brittany started out her career as the Design & Production Director of StreetWise magazine. Her passion for the magazine and its mission to support of the Chicago homeless community inspired her to pour her heart into her role. She was eventually promoted to Publisher, managing the editorial calendar, marketing and business operations for the publication. Today, she is still the current Vice-President of the StreetWise Associates Board. 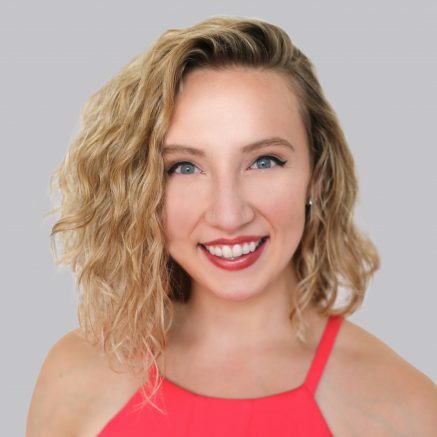 Enlivened by her talent for technology and marketing, Brittany made a career change into the technology industry, working as a Digital Marketing Specialist for an IT consulting firm. During this time, she received her MBA in Marketing from Loyola University Chicago. When she’s not at work, Brittany has many hobbies that keep her busy. She’s a bit of a fitness fanatic, and is a frequenter of the gym or the local soccer field. She also loves to act, sing, and dance, having majored in Theatre and minored in Ballet during her undergrad at Loyola. She keeps her craft sharp, performing in shows, participating in theatre festivals, or simply taking classes whenever she can. And if she’s not on the Stairmaster or rehearsing a new monologue, chances are she’s spending time with the people she loves or beloved dog, Harry.